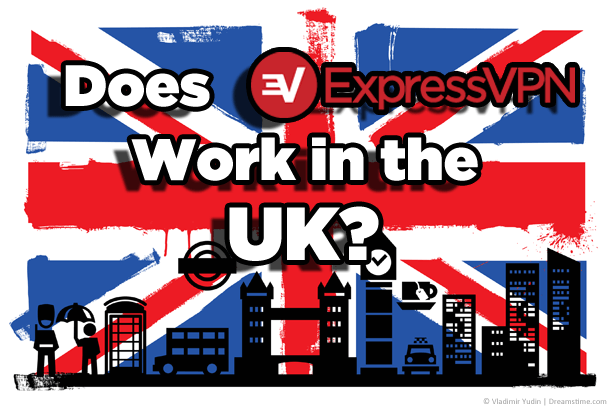 If you’re wondering if ExpressVPN works in the UK, then you’re not alone. It’s one of the most common questions we get asked. It’s also one of the most common questions asked on Google. After five years of testing, tinkering, trying and putting VPN services through more hoops than you care to imagine, we wanted to answer this age-old question. We’ve been testing ExpressVPN from the UK to once and for all put this commonly asked question to bed. So, let’s find out, Does ExpressVPN work in the UK? Does ExpressVPN work in the UK? Yes, without question, ExpressVPN does work in the UK. In fact, they’re actually one of the best VPN services for use in the UK. Not only do that have multiple locations available to connect to in the UK but they also cover some 94 countries across the world which includes plenty of nearby locations in Europe and further afield for a multitude of needs. If you need privacy, then connect to countries such as Switzerland or Iceland. Want to torrent then the Netherlands is just a click away. Or if you simply want to protect your privacy in the UK then you can connect to UK based servers which are suitable for the entire UK located in London, Kent and Berkshire. How much does ExpressVPN cost in the UK? ExpressVPN like all VPN providers charges for their service in US Dollars. A year of ExpressVPN costs US$99.95 which is just $6.67 per month. In British Pounds at current rates that works out at around £5 per month. You can subscribe for 6-months which will cost you US$59.95 up front, the equivalent to $9.99 per month or £7.51 in British Pounds. It’s also possible to pay monthly but it’s the most expensive way and will cost US$12.95 per month or £9.73 in British Pounds. You can work out a rough conversion at the time of purchase by using a site such as XE.com. ExpressVPN is one of the oldest VPN services in the industry receiving multiple awards and high ratings from across the internet from both professional review websites and user reviews. In 2018 and 2019 we awarded them our ‘Editor’s Choice’ award for continual excellent service, fast speeds and ease of use. ExpressVPN has a 5 star ‘Excellent’ rating on user-review website TrustPilot with 94% of users rating the service ‘Excellent’ and ‘Good’. It also has a ‘TrustScore’ of 9.6 / 10. Other leading VPN comparison and review websites such as BestVPN.com, CNet, PCMag and TomsGuide also score and rank ExpressVPN highly. Are VPNs legal in the UK? VPN services are completely legal to use in the UK. In fact, they’re legal in almost every country in the world. Although some countries such as China restrict the use of VPN services they’re still not technically illegal even there. ExpressVPN like most other VPN services serves a legitimate purpose to help you protect your online privacy. They can also serve to help you unblock content from across the globe. Originally VPN services were used by business customers to help remote workers connect securely to their office. What is the best VPN in the UK? Picking one single VPN service to mark as the ‘best’ is incredibly difficult to do – if not impossible. There are what seems like 1 million VPN services to choose from these days (more like 500 in reality) and with 1.5 million VPN review websites (ok, a few hundred) it’s difficult to know where to turn and who to trust. There are plenty of excellent VPN services and ExpressVPN is definitely one of the best (check out our latest review), however there are other good choices like IPVanish, NordVPN, VyprVPN and CyberGhost VPN. That said, there are plenty of poor fly-by-night type VPN services, so it’s best to stick to a well-known reputable service that has been in the industry for some time. As ExpressVPN is our highest ranking VPN service this year and they’ve got a 30-day money back guarantee you can’t go wrong choosing them. If you’re thinking of signing up to ExpressVPN but wondering if it works in the UK, then it’s a resounding, Yes. We’ve been using them on and off for the past five years from within the UK and after continual improvements, they finally received our top ‘Editor’s Choice’ award in both 2018 and 2019. They’re suitable for a whole range of purposes from protecting your privacy, unblocking Netflix and BBC iPlayer, torrenting, downloading, streaming and a whole host of other uses. It’s also entirely risk-free to try their service because it comes with a full 30-day no questions money back guarantee. You can also get an exclusive three months completely free if you take their annual package by using our special link below.